I shared a Father's Day round up yesterday (so many great ideas out there! ), and today I have one more great idea for all the wonderful dads out there. I was at Pebbles in my Pocket (a local scrapbook store) a few weeks ago and found this simple, adorable Father's Day treat idea. 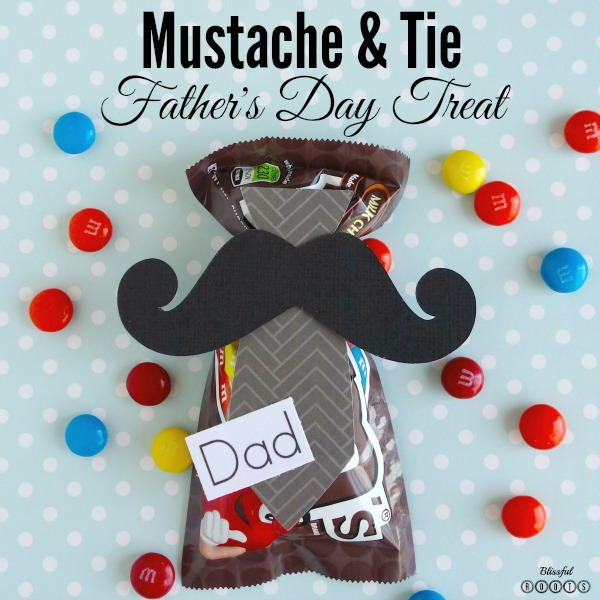 I love how the mustache and tie fit perfectly on the small bag of candy. The ideal treat for dad (at least the daddy at our house, he's a bit of a candy man)! Come on over and visit me (here) for all the supplies, instructions, and links you'll need.